“Simplicity is the ultimate sophistication” – this famous quote from Leonardo da Vinci is what defines the journey we are about to take you on. The Simple Collection from VOX offers you the opportunity to bring an understated elegance into your home. Let’s set the scene for a new backdrop to your life with the help of Simple. When we come home from a long day at work, we want a space that functions well when we walk through the door. 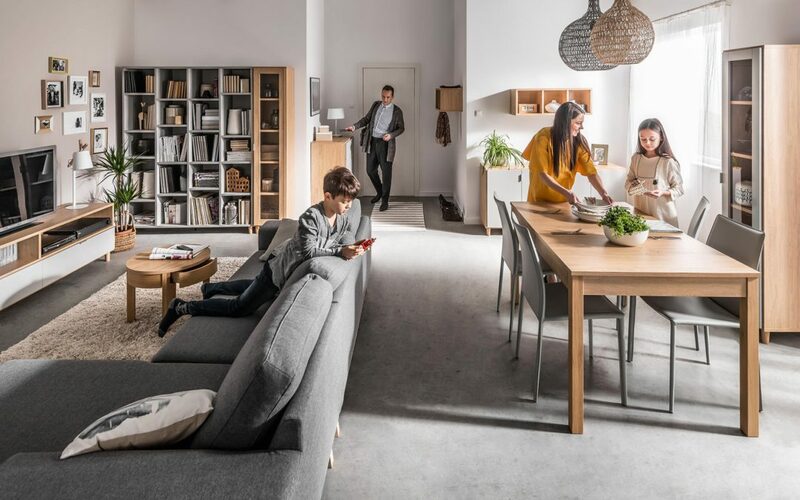 Especially with cities getting bigger and living spaces smaller, we want our homes to act as an extension of who we are. What makes a world of difference is simple design detailing and that is what the Simple Collection prides itself on. Pictured above, the Simple Collection welcomes you home to elegant shelving units. The Simple Wall Shelf with Hooks can easily be mounted on your wall offering a modern contemporary look. Giving the perception of a floating piece. Then below the wall shelves, the Simple Cupboard offers a clean-lined modern look for easy storage. 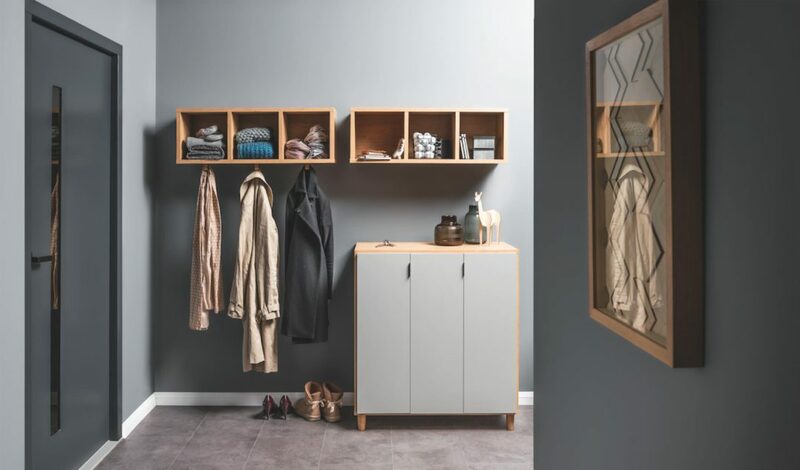 Furthermore, the Simple Cupboard is available in white and oak, with white or black fronts. When opened, adjustable shelving is revealed, making it easy to store dining necessities. For the avid reader, the Simple Collection offers three different bookcases, the Simple Double Bookcase, the Simple Low Bookcase and the Simple Wide Bookcase. When looking at the Simple Double Bookcase you will see it works well for kids and teens bedrooms. 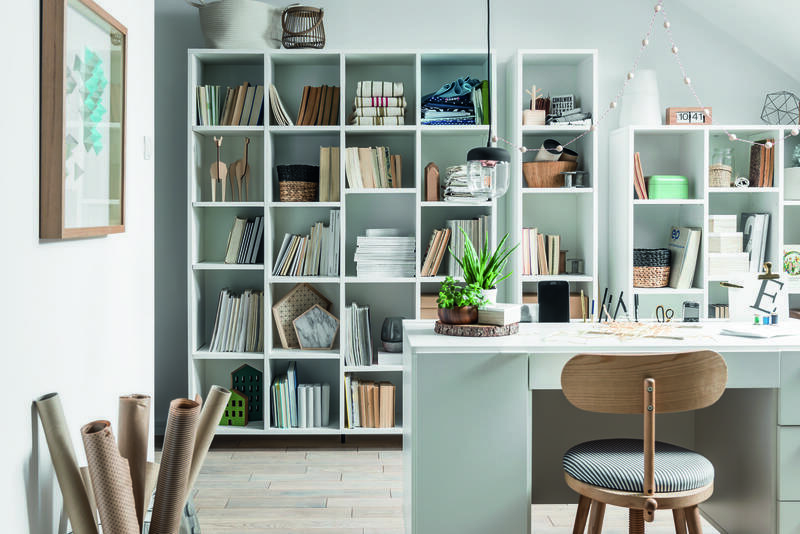 With uneven-sized shelving offering a modern contemporary look to house their favourite books and keepsakes. While the low and wide bookcase works well in your living room and study. Now all of the reading material you need will be well organised and at arms-length. The bookcases are available in oak and white finish, to suit any living space. 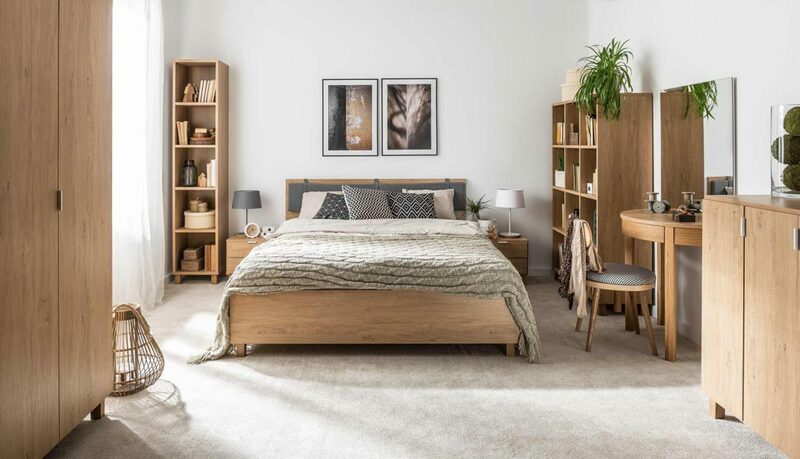 When it comes to your bedroom, you want a space where you can sleep comfortably and wake up feeling refreshed. What the Simple Double Bed brings is a clean-lined design that offers you extra-length for those night time stretches. With a solid frame, you can be assured of the highest standards in quality. Through Its simplistic design, the bed gives your room an elegant look. Furthermore, making it easy to style your space to act as an extension of you. Lastly, for easy storage of nighttime essentials, add the Simple Nightstand. What the nightstand offers is a seamless look which is on trend for bedrooms right now. For added storage and to keep things tidy, the Simple Dresser with Functional Slat offers you so much more. With four large drawers that give you ample storage space, you can keep things well organised in your bedroom. What sets this dresser apart from the rest is the functional slat. Here you can house a set of accessories that have been specially designed for the dresser. 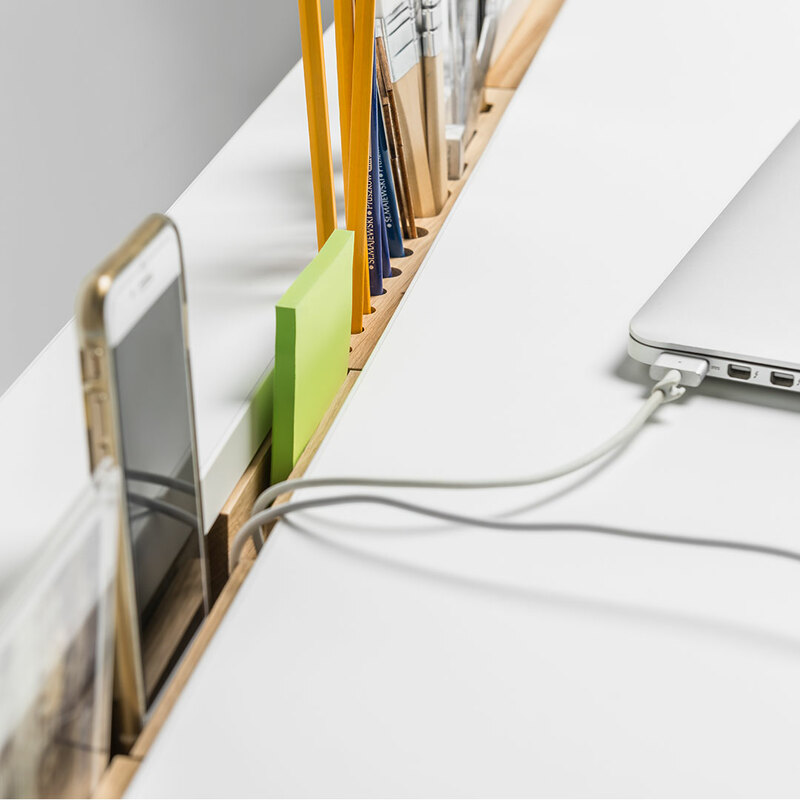 Offering you space to keep your essentials tidy to house your beloved electronics. Making this truly a well thought out piece of furniture that has been made to make your life simpler. What do you like most about the Simple Collection? Let us know by commenting below, we’d love to hear from you. Be sure to Like us on Facebook and sign up to our newsletter to be the first to know about special offers. Follow us on Instagram @VoxfurnitureSA and get inspired.